Ah’m fixin’ to write this blog, y’all, for the a to z challenge. It’s just takin’ me a bit. I was born in the South and learned to speak there, my earliest words lulled by languorous rhythms of low country loquacity, dusted with the twang of the North Georgia mountains, and balanced by the “get-to-the-business” patois of Birmingham and Atlanta. I do have to confess to some inner valley girl swirled somehow into the middle; a hitchhiker, I suppose, from UGA college days long past. It’s like, who I am. Some of us chose to hide our Southerness. Or mask it in our daily conversations, thinking the lack of a drawl makes us sound smarter, more educated. Traveled. Worldly. But if we are from the South (and that South can run all the way from Delaware to parts of Texas and Arkansas) trust me: we have an accent. And the deeper you get into Dixie, the deeper it lies within the dweller; the broader it becomes, the more it brands who we are. You almost always hear my accent when I’m being charming, or flirty. Believe it or not, Time Magazine recently reported that a survey by dating site Cupid.com, voted the “sing-song honey sweetness” of the Southern accent as the country’s sexiest, and by a pretty significant margin. Regardless, it’s part of me and defines me as a native of the Southern states of our nation. There’s history and tradition in my speech, an above-the-norm politeness and courtesy marks my words. The voices of my ancestors layer over the language of business and tech I speak daily at work; Southern “sugar” spins into words of endearment; the honeys, preciouses, sweeties, and darlins I use to address my beloveds and total strangers alike. Oh, and I will use it to be annoying. Don’t get me wrong. The first time I sense someone is prejudging me as an Atlantan, or a Southerner in general; watching them don that patient look they might assume with the deliberately obtuse, the mentally challenged or the truly uneducated. Why, it’d be just plain rude to disappoint! This entry was posted in A Hell's Belle's Guide to the South, Blogging challenge, Random Pictures, writing and tagged A-Z Blogging Challenge, Southern Accent, Southern Drawl, the New South. Bookmark the permalink. I love it!! i wish I could actually hear you!! 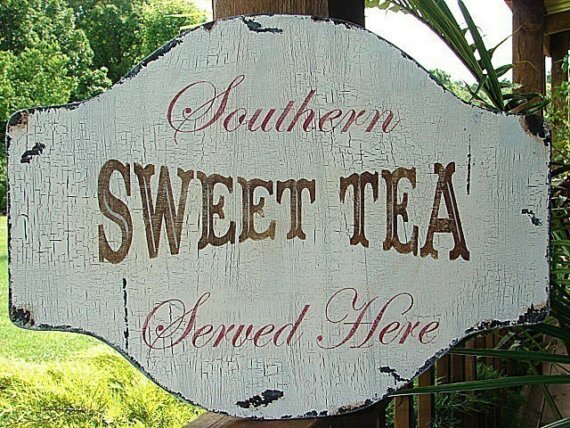 Before this is all over, I’ll do a video of something in my best “Southern” and post it to the blog’s Face Book page. Hope I don’t disappoint you! I am positive you won’t!! I love them too – and love impersonating people I meet – trying to slip on that accent or speech pattern! Bless our hearts, but we do try to don a Scottish accent when reading poems at Burns’ Supper each year. You would find it quite amusing, I’m sure! I know! I found it and just had to use it! My level of accent comes and goes – gets thicker when I go to Alabama or am around really Southern people. I meant to say above…I did NOT know I had a Southern accent…. I really enjoyed your post. I have been living in New York state for 32 years and people are constantly telling me I have the “Southern Drawl.” Someone actually called me a “Rebel” today. I am originally from Texas. Thank you so much for the kind words, Thea! You can take the girl out of Texas… (I am a “foster” Texan, btw). My family is from Massachusetts and though I’ve never lived there, sometimes people will note the Bostonian pronunciation of words such as roof and garbage! Somethings we just can’t help! I love the valley girl, “it’s like who I am”. Being Southern California born and bred to moving to the deep South was quite a culture shock to me, and my son has now picked up on the accents with a few words from being here for so long. I love every time I hear him pronounce one of those words. I have huge amounts of inner valley girl. I can’t tell you how many times I say, “like” a day, it’s like 50 to 100. 🙂 Did you move to rural South or City South? Delaware is right, Kimi. When this New Yorker left to attend the University of Maryland and landed in College Park, I listened to the locals that first day there and thought to myself, “Oh, crap, WHAT are they saying to me?” Of course, it was I with the accent, as they gave me the same puzzled look for my New Yawkese. I came to understand their lovelier way to pronunciate just in time to get a job in Syracuse and move back north. Now I think my accent is neutral. Check out my podcast and tell me if I’m right if you get a minute. 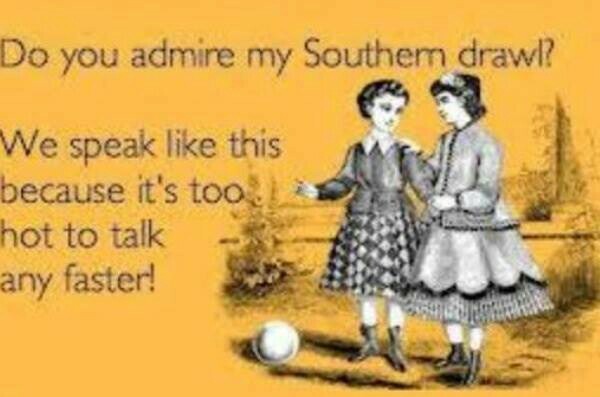 I love the deeper southern accent, by the way. It rocks. Oh yes, you have a great neutral journalism voice – pleasant intonation and very well enunciated! Great interview! I had to take a class at UGA dedicated to beating out my accent for TV reporting. Brutal! The effects lasted several years, but I’m slipping more and more into Southernisms the older I get! Please slip back into the southernisms, Kimi. It is a beautiful way to speak. When I do the podcast, I make a conscious effort fo neutralize. At home with MDW Karen, I’m a little more New York. Get me with my Long Island sisters and fuggedaboudit. 🙂 Did you become a TV reporter at all? You have the smarts and looks, my friend. I was told once that some damn yankee that called into the office at work asked our president “who was the hick who answered the phone.” I was told I’d have to take “speaking lessons”. I told them I was a native Texan with a native Texas accent and that I had no intention of changing how I spoke for anyone. Hahahaha. So loved that. My roots are in the South, but now I socialize with the Great White North, aka Canadaland. Best of luck with the A to Z Challenge. Cheers!